BMW will in a few days start rolling out to many of its drivers support for Amazon’s Alexa voice assistant. The fact that BWM is doing this doesn’t come as a surprise, given that it has long talked about its plans to bring Alexa — and potentially other personal assistants like Cortana and the Google Assistant — to its cars. Ahead of its official launch in Germany, Austria, the U.S. and U.K. (with other countries following at a later date), I went to Munich to take a look at what using Alexa in a BMW is all about. As Dieter May, BMW’s senior VP for digital products told me earlier this year, the company has long held that in-car digital assistants have to be more than just an “Echo Dot in a cup holder,” meaning that they have to be deeply integrated into the experience and the rest of the technology in the car. And that’s exactly what BMW has done here — and it has done it really well. What maybe surprised me the most was that we’re not just talking about the voice interface here. BMW is working directly with the Alexa team at Amazon to also integrate visual responses from Alexa. Using the tablet-like display you find above the center console of most new BMWs, the service doesn’t just read out the answer but also shows additional facts or graphs when warranted. That means Alexa in a BMW is a lot more like using an Echo Show than a Dot (though you’re obviously not going to be able to watch any videos on it). In the demo I saw, in a 2015 BMW X5 that was specifically rigged to run Alexa ahead of the launch, the display would activate when you ask for weather information, for example, or for queries that returned information from a Wikipedia post. What’s cool here is that the BMW team styled these responses using the same design language that also governs the company’s other in-car products. So if you see the weather forecast from Alexa, that’ll look exactly like the weather forecast from BMW’s own Connected Drive system. The only difference is the “Alexa” name at the top-left of the screen. All of this sounds easy, but I’m sure it took a good bit of negotiation with Amazon to build a system like this, especially because there’s an important second part to this integration that’s quite unique. The queries, which you start by pushing the usual “talk” button in the car (in newer models, the Alexa wake word feature will also work), are first sent to BMW’s servers before they go to Amazon. BMW wants to keep control over the data and ensure its users’ privacy, so it added this proxy in the middle. That means there’s a bit of an extra lag in getting responses from Amazon, but the team is working hard on reducing this, and for many of the queries we tried during my demo, it was already negligible. As the team told me, the first thing it had to build was a way to switch that can route your queries to the right service. The car, after all, already has a built-in speech recognition service that lets you set directions in the navigation system, for example. Now, it has to recognize that the speaker said “Alexa” at the beginning of the query, then route it to the Alexa service. The team also stressed that we’re talking about a very deep integration here. “We’re not just streaming everything through your smartphone or using some plug-and-play solution,” a BMW spokesperson noted. One of the advantages of Alexa’s open ecosystem is its skills. Not every skill makes sense in the context of the car, and some could be outright distracting, so the team is curating a list of skills that you’ll be able to use in the car. It’s no secret that BMW is also working with Microsoft (and many of its cloud services run on Azure). 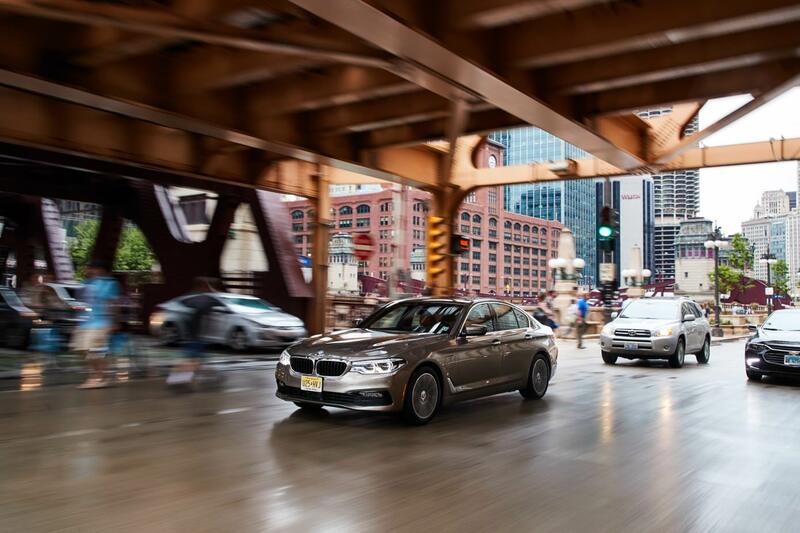 BMW argues that Alexa and Cortana have different strengths, though, with Cortana being about productivity and a connection to Office 365, for example. It’s easy to imagine a future where you could call up both Alexa and Cortana from your car — and that’s surely why BMW built its own system for routing voice commands and why it wants to have control over this process. BMW tells me that it’ll look at how users will use the new service and tune it accordingly. Because a lot of the functionality runs in the cloud, updates are obviously easy and the team can rapidly release new features — just like any other software company.